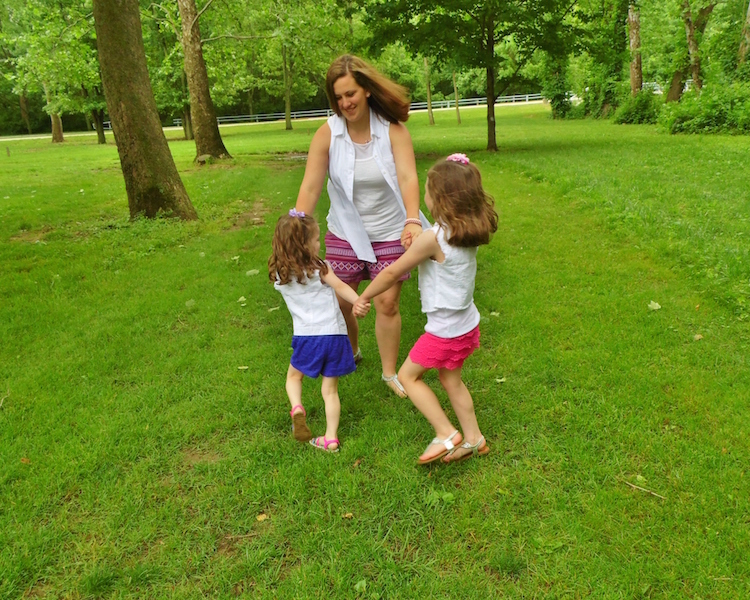 When my daughter was 18 months old, she became anemic and began having difficulty putting weight on her legs. She lost her appetite, she stopped growing, some of her joints were swollen and she fought off countless illnesses on top of having asthma. After a year and a half of doctors, tests, scans and blood work, she was diagnosed with juvenile idiopathic arthritis (JIA). While we were relieved to finally have some answers, we also found ourselves overwhelmed with the diagnosis as well as trying to find the right dosage and combination of medication to fight this autoimmune disease. We are several years into it now, and every day is different. I feel it’s important to raise awareness for JIA, an “almost invisible illness” because the swelling usually occurs in the morning and at night. Not being able to see it makes it difficult for some to understand. 1. Live each moment. This is so much easier said than done, especially when my daughter is sick or going through a flare. There are times when she’s in so much pain she won’t even let me touch her. But there are also times I get to scoop her up and snuggle, and I savor those moments dearly. No feat for us is too small. I am grateful when she can just get out of bed by herself or play with her sister. People sometimes take these “small” things for granted, but we’ve learned to live each and every moment and be thankful for them all. A lot of people wonder if it’s something she will “grow out of,” and unfortunately that’s not the case. So we take each day at a time. 2. Your priorities will change. Unfortunately, with an autoimmune disease, your immune system is low. Whenever we go out somewhere, she gets sick afterward almost every single time, even after taking precautions and getting clean clothes on immediately after we get home. And while most people can fight off an illness in three to five days, it takes her two weeks. So we’ve begun to change our priorities and how we think. For example, would we rather have her go grocery shopping with us, or save the outing for something she’ll actually enjoy? 3. You learn who your true friends are. With this disease, every day is different. Some mornings, she springs out of bed; other mornings, it takes her two hours. We sometimes have to cancel plans because of a flare. Some friends will understand these things, and some will not. You may even get the occasional comment along the lines of, “Your child always seems sick.” Another one we get a lot is, “But she looks fine right now.” It’s difficult to explain to someone without going into details. Yes, she may look fine right now, but it took an hour with the heating pad this morning just to get the swelling down enough for her to get out of bed, and there will be at least another hour tonight along with her crying because she’s in so much pain. Your real friends will listen to you when you explain these things and will understand when they come up. 4. It is an emotional roller coaster. Another mother whose child has JIA shared this with me when my daughter was first diagnosed. At the time, I didn’t understand it at all. I thought we had everything figured out with her meds and we were good to go. But boy, was she right! Just when you think you have it all figured out and things are going smoothly, new joints become affected, others stop responding to the medication or something else changes. You’d think with every flare it would get easier, but it doesn’t. You go through all the emotions all over again — worry, anger, guilt — and that’s OK. Surround yourself with a good support system. If you want your child to learn how to express his or her feelings, don’t be afraid to show yours sometimes. It’s important they know it is OK to have feelings — it’s how you deal with and handle those feelings that matters. 5. This illness does not define us, but it does help shape us — whether we want it to or not. This is a big one. My other daughter has shown me this the most. At times, she feels guilty for getting to do things that her sister cannot. I struggle with this as an adult, but I can’t image how hard it would be to do as a child. But, with help from out support system, we’ve both grown so much. She shows empathy beyond her years and is always trying to help others. She has learned to include, accept and have patience. I’ve learned to have courage and to take each day at a time. I used to plan everything, be inflexible or ask “what if.” Not anymore. I enjoy the small victories and savor them for as long as I can. As the years go on, I’m sure we’ll continue learning. In the meantime, I hope this can help some new families who may be going through a similar journey. I am so proud of both my girls and am so thankful for our constant support system through all of the ups and downs. Courtney Cooley is the mother of two amazing girls who teach her and inspire her every day. She also works in the Special Education Department at the elementary school level.